Aluminum slugs for aerosol cans are usually used in chemical and cosmetics industry. It is suitable for holding liquid products such as raw materials and finished products of flavors and spices, cosmetics liquids, pharmaceuticals and health care products liquid raw materials, electronic liquid materials and so on. 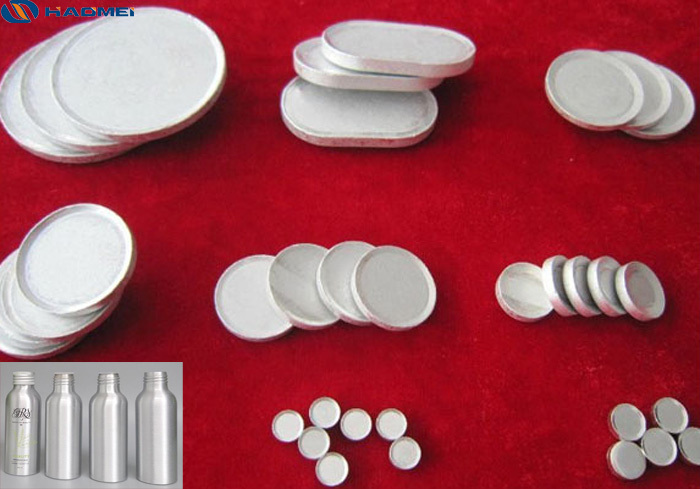 As aluminum product has a lot of advantages than other metal, such as cheap raw material price, light weight, corrosion resistance, easy processing, so aluminum slugs are widely used as the raw material for manufacture aerosol cans. Aluminum slugs for aerosol cans has many characteristics. Made of pure aluminum or added by other metal element, with stable chemical properties, resistance to impact and puncture. Isolation of light and air, good sealing performance. made of complete aluminum slugs, seamless process, the cans neck and the cans mouth with precision manufacturing, meet the German industrial standard. All parts of the aluminum aerosol cans can be contact with the loaded object directly, safe and reliable. The aluminum cans are environment friendly, the aluminum material is 100% recyclable. Haomei Aluminum supply the slugs for aluminum aerosol cans for more than 20 years, with efficient experience and advanced technology, we have won good reputation in the world. Many customers take orders and introduce new friends to us for they trust us than other manufacturers. We welcome friends to visit our office and factory warmly, if you have any need, just contact us, we have confident to help you on your business!